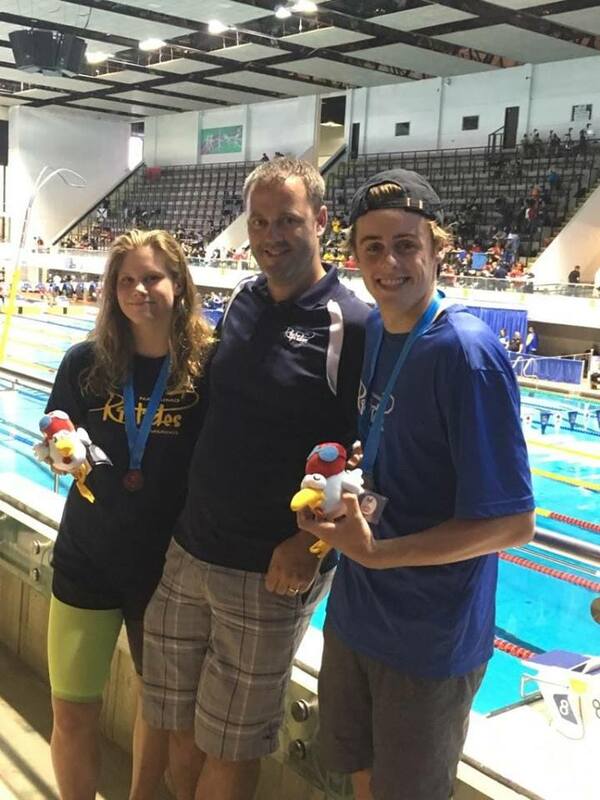 Riptides were proud to be represented this year at RBC Canadian Junior Swimming Championships by Tayden de Pol and Camryn Stannard. 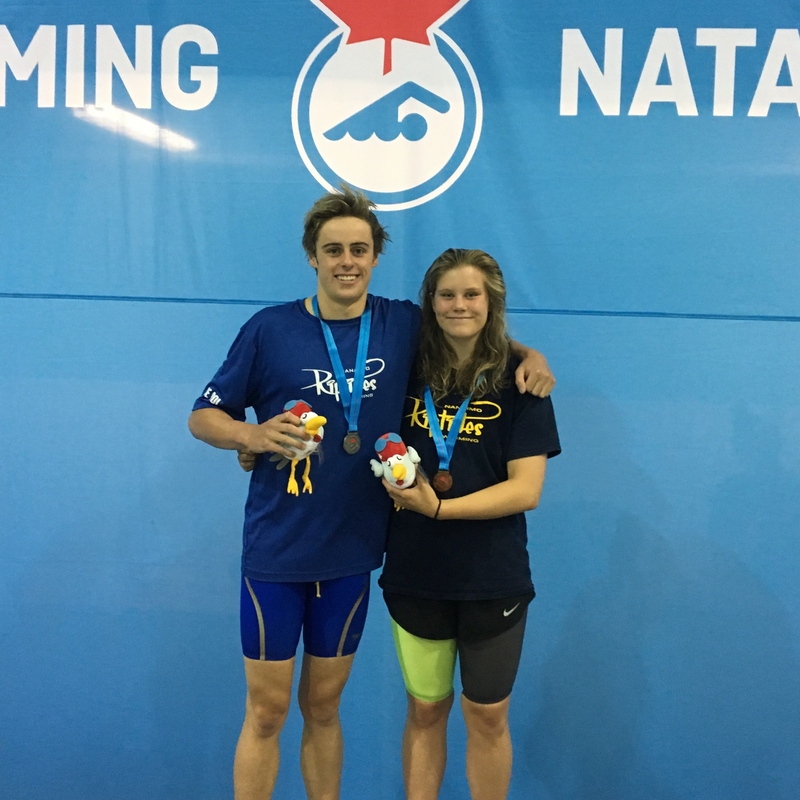 July 25th - Camryn qualified for the B final in 100 fly, while Tayden tied for 6th in his 100 fly claiming a spot in the A final. Both had fine swims in finals. Camryn swam slightly faster than the morning and finished tied for 15th in the 100 fly. Tayden turned in a personal best 57.10 in 100 fly to claim 6th place. July 26th - Camryn had a good swim in her 100 freestyle heat, qualifying tied for third for the final in a time of 59.32. It was an extremely close race in the 13-14 year old 100 free final where only a second and a half separated the entire field! In a new personal best time of 58.89 sec Camryn finished in 5th place. Earlier, in a 200 back time trial, Tayden posted a new personal best for the event of 2:09.58. 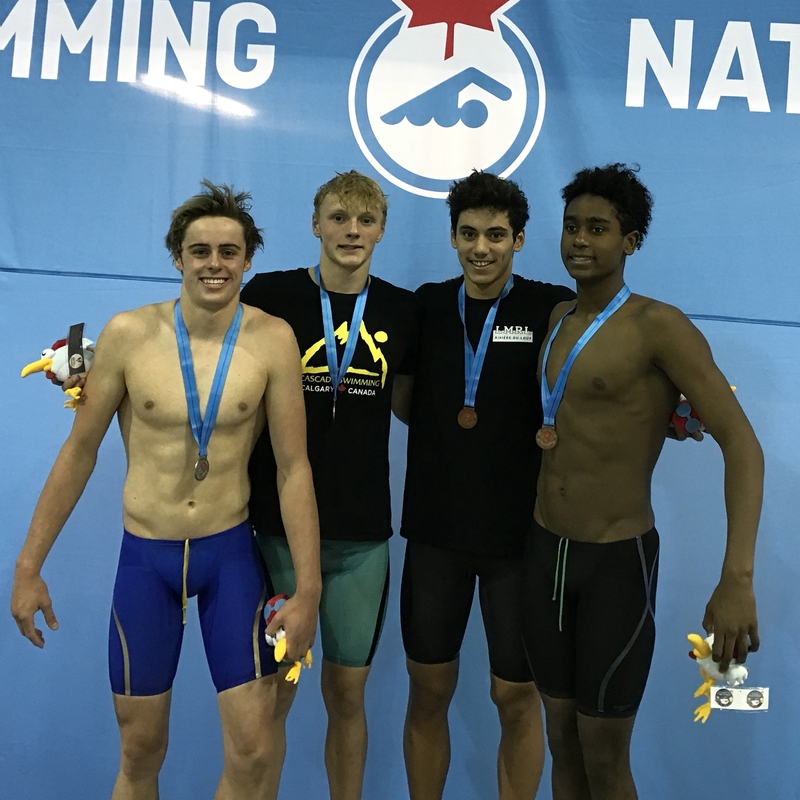 July 27th - Camryn finished 23rd in 100 breaststroke 1:19.28 and Tayden's 2:14.32 in 200 fly sees him in 17th (first alternate). July 28th - Riptides claimed berths in A finals at Canadian Junior Champs! 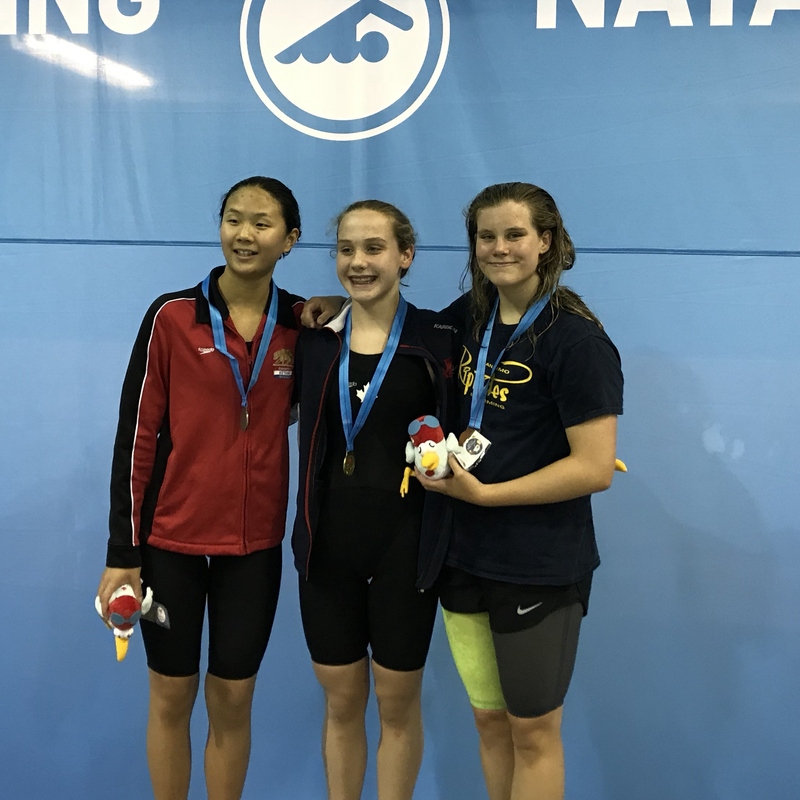 Camryn was the top qualifier in the 13-14 yr old 200m freestyle final. In a personal best of 57.98 sec, Tayden was the number two seed for the 14-15 yr old 100m backstroke final. Camryn Stannard swam a bronze medal race in a time of 2:06.08 in the 200 freestyle final! Silver medal, and another personal best of 57.47 sec in the 100 backstroke final for Tayden de Pol! 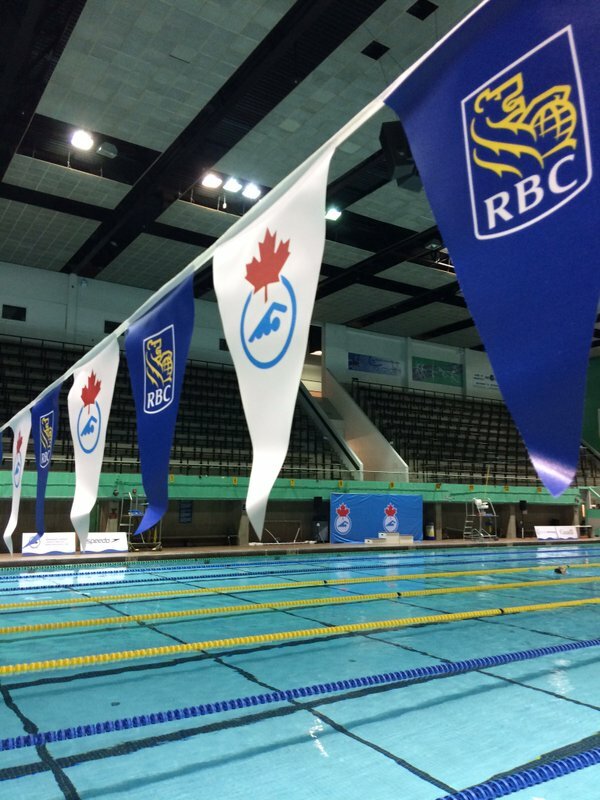 Wrapping up the Canadian Junior Champs from Winnipeg, Camryn lowered her 50 free time for the second time today clocking 27.20 sec for 5th place! Then in the space of 60 minutes she swam to 8th place in the 200 IM final and 15th place in the 400 freestyle. 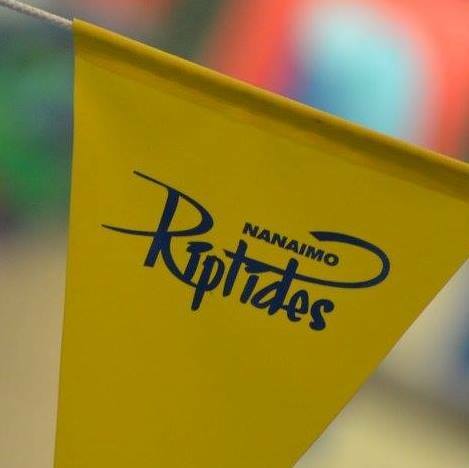 Great swimming from both Riptides over the course of the meet.